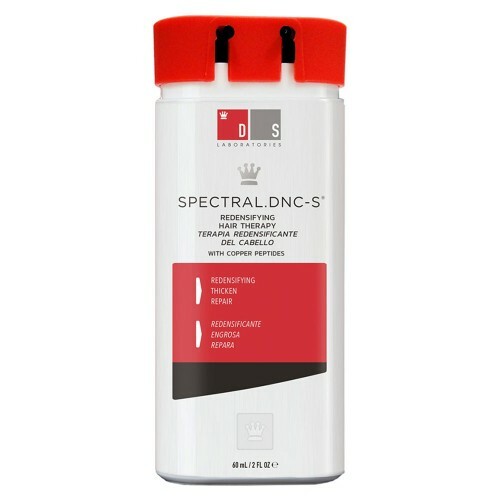 A product of the well-renowned DS Laboratories, Spectral.DNC-S is a revolutionary hair thickness promoting formula that contains powerful natural ingredients in a dual chamber system. Simply applying the formula on a daily basis can help to reverse your thinning strands and give your hair a fuller appearance. One of the most advanced formulation of DS Laboratories, Spectral.DNC-S is definitely amongst the most effective hair health promoting natural products available today. With just 2 easy applications each day, its powerful contents tackle all the triggers of thinning hair. 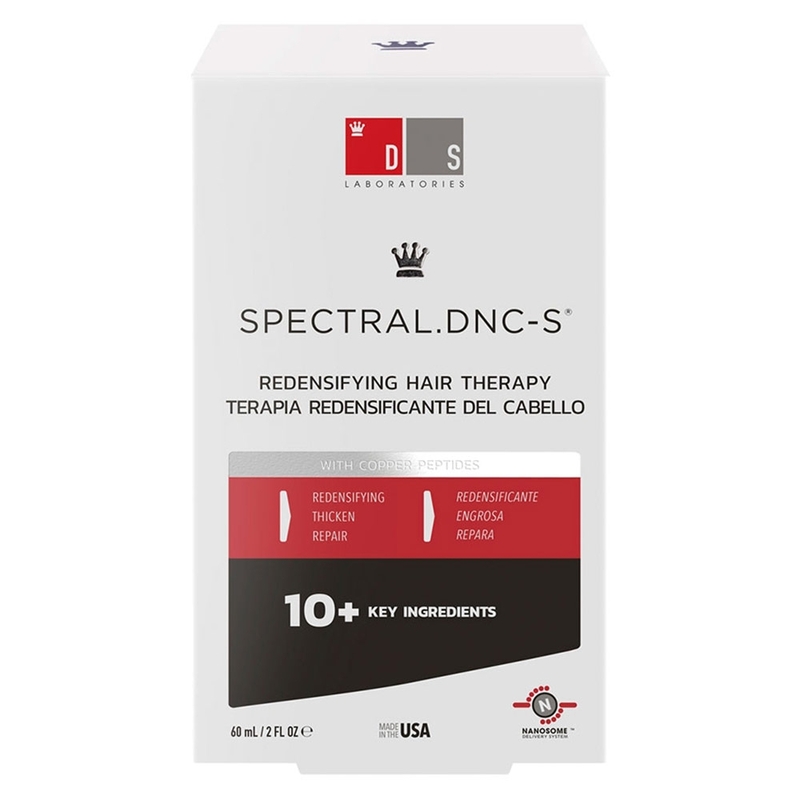 A product of the renowned DS Laboratories, Spectral.DNC-S is an advanced hair growth formula prepared to help support thinning hair issues. This easy to use system holds the molecules that could not be mixed together, in two separate chambers and thereby, gives you the benefits of all of the contents infused in this effective formulation. The ion-channel opening compounds in this formula are similar to minoxidil in nature but, are derived from natural sources. 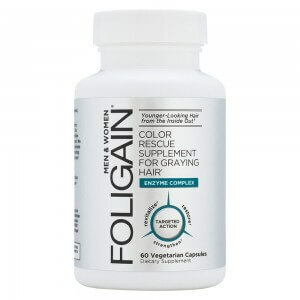 All of its contents work in a synergy to help promote good scalp health and thicker and stronger hair. 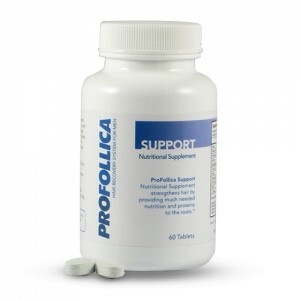 This scientifically prepared formula makes use of high quality natural compounds to deliver quality results. Its contents may even mimic the efficiency of pharmaceutical products but, without the side effects. The dual chamber delivery system of Spectral.DNC-S allows all of the delicate molecules to be deployed into your scalp in just one easy pumping action. One of the chambers contains botanical compounds and anti-DHT agents, which helps to promote a healthy scalp and hair without triggering any side effects or stickiness caused by minoxidil. The other chamber contains ion-channel opening agents that help open cell barriers to ensure the delivery of the compounds deep into scalp so that maximum results can be experienced. Thus, Spectral.DNC-S is an advanced formula that works by targeting a wide spectrum of hair thinning and hair fall symptoms. Stem cells- This formula incorporates plant-based stem cells that assists hair follicle regeneration and repairs the tissues with damaged or removed cells. Malus Domestica extract- Spectral.DNC-S contains procyanidin B-2, a polyphenol derived extract of Malus Domestica. A recent research has shown that the extract has the potential to improve the hair line and vertex of the scalp. Aminexil- This patented compound is extensively studied and proven to strengthen and thicken hair fibres and protect roots. 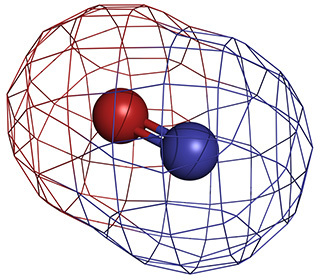 Copper peptides- This amino acid group helps stimulate improved regrowth. 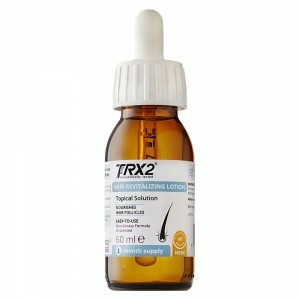 Peptides possess anti-inflammatory properties crucial in preventing oxidative damage and in replacing damaged tissues with newer normal tissues thereby, supporting optimum environment for healthier hair re-growth. Retinol- This compound assists easy absorption of key compounds into the scalp and hair fibres. Panax Ginseng root extract- This natural extract is included in Spectral.DNC-S formula for its supposed potential of prolonging life of hair follicles. ion-channel openers allow the flow of potassium ions across cell membranes to support optimum hair growth. 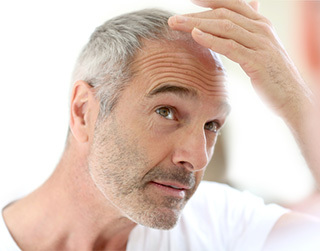 phytosources stem cells support follicle regeneration. 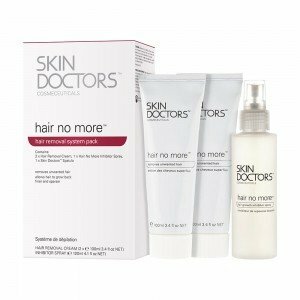 Key compounds reduce the damage done by DHT, allowing follicles to function normally. Dual-chamber systems keep materials stable until users apply them on the scalp. 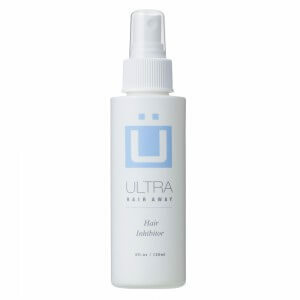 Free from Minoxidil leaves no greasy, sticky residue. How do I use Spectral.DNC-S? Spectral.DNC-S is a hassle-free formula and extremely easy to use. Shake the bottle well before use. 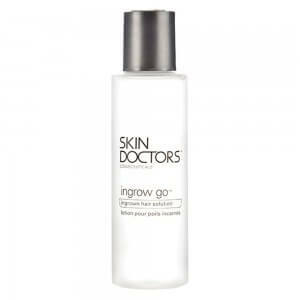 Apply 6 pumps onto your thinning areas and massage in the liquid to ensure an even application. After each application, wash your hands thoroughly with water and soap. It does not matter whether your hair is washed or not, use it anyway and for best results, use it daily. To experience maximum benefits, wash your hair at least 5 times a week and use Spectral.DNC-S consistently without skipping applications. 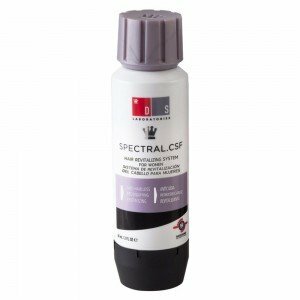 Are there any side effects of using Spectral.DNC-S? There are no known side effects associated with Spectral.DNC-S. However, to ensure further safer use, take care of following factors. Before buying the product, go through the complete ingredient list to check if you are allergic to any. Do not use Spectral.DNC-S if you are pregnant or breastfeeding. Store at temperatures between 20°C and 25°C and close the lid tightly after each use. If you experience any irritation or any kind of reaction or undesirable side effect, discontinue using the product immediately. Do not apply the formula on any other body part except your scalp and hair. If it accidentally comes in contact with your eyes, rinse your eyes thoroughly with cool tap water. Ordering at HairCareTotal couldn't be easier. Simply click on the 'add to basket' icon and follow the on screen instructions in the checkout procedure prompting you with several payment and delivery methods to suit your needs. 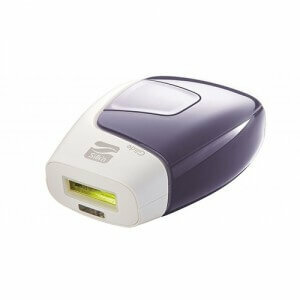 If you order before 4.00pm you will recieve your Spectral.DNC-S the very next working day. All packaging will come in unbranded and discreetly. Join the huge amount of customers who have benefitted from DS Laboratories products and start holding your head high with confidence today.